Connect for Suicide Prevention - A Rose Is A Rose Is A Rose! Papa here was a friend’s brother who couldn’t manage the business losses and believed that killing himself would be the best solution for his problems. Needless to say that his suicide didn’t help anybody. It only compounded the problems. His wife and father were clueless about his business operations, his debts and losses and are struggling at this crossroad of life. This cruel and harsh reality has scarred the children, mentally. The only thing that could have helped would had been Connectedness! By being communicative with family and friends can help on many levels. Connectedness is crucial to individuals who may be vulnerable to suicide. Being connected to your loved ones, your community, and the world around you, is key to suicide prevention. Connectedness leads to stronger social ties, lower levels of isolation or loneliness, and more positive relationships. These strong, positive relationships can be protective and prevent against suicidal thoughts and behaviors. For youth, attachment to family and organizations in the community increases feelings of belonging, strengthens a sense of identity and personal worth, and expands available supports. Reaching out to those who have become disconnected from others and offering them support and friendship may be a life-saving act. Connectedness can also be understood in terms of clinical care. Mental illness, particularly depression, is an important risk factor for suicide. Seek/provide help from mental heath professionals. So, please speak up! Talk your heart out. Stay connected and stay positive. And above all, NEVER GIVE UP… there is always a way out! We are blogging for this cause at Write Tribe. Do read and spread the awareness about this initiative. Thank you! People who commit suicide don’t realize that with time, everything will become fine once again. They just need to give it some time and people around them should support them. Your friend’s brother committed suicide because of failure in business. I’m not sure about other countries, but in India, there is a big stigma associated with failure. A student who has to repeat a class due to poor marks is termed a failure and is looked down upon. If an entrepreneur succeeds in business, people admire him/her for having the courage to take calculated risks. If another entrepreneur fails in business, most of the same people criticise him/her for foolishly taking unnecessary risks. The truth is success and failure are both parts of business, in fact of life itself. Very few people know that, before starting Infosys, N. R. Narayana Murthy had “started a company named Softronics. When that company failed after about a year and a half, he joined Patni Computer Systems in Pune.” He started Infosys along with 6 others after working a few years at Patni. (This information is available on Wikipedia.) It is necessary to give publicity to such stories so that we remove the stigma associated with failure. You are spot on PI. We just cant accept failures. Your example of the a successful and a failed businessman is so right. Wonder when will we accept that one always passes failures on his way to success! True Shilpa, suicide is not an answer to people’s problems. Most of the times a supportive hand and an assuring voice can help a lot. It’s so sad when a life is lost this way, or in any way for that matter..Contectedness is really so so important..If only we communicate more these occurrences can be reduced. Oh yes. Connect is the key! Wish we do that, all of us! there was a time when neighbours and relatives connected with one another, shared problems, lent shoulders in times of crisis and helped each other emotionally, morally and financially. Today, It is really pathetic to know India the spiritually inclined country is the suicide capital of world. Goes to show how much we have detached ourselves from communicating and sharing problems with each other. Roshni, a suicide counseling center where one of my neighbour volunteers she says, most children especially teenagers from upper strata come to them stating that they don’t see their parents and their parents don’t even have time to listen or talk about their problems. sad for your friend’s brother family. Hope they have enought strength to come out of the crisis and lead a normal life. 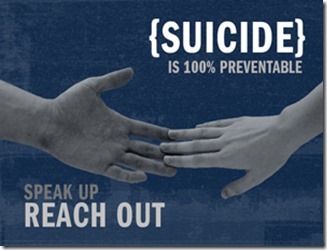 Suicide is preventable. 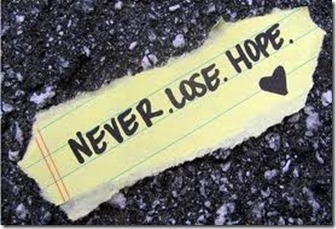 Never.Lose.Hope is the best slogan. Wish, all people believe in that! Inspiring post. 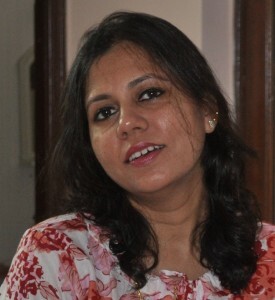 Glad to have read your write, Shilpa. True. Connect from both the sides is important. Wish that guy had done just that! Thanks Ida, hope his family is coping well. What a terrible thing for children to experience. How terribly depressed a person must be to take a step knowing he’s leaving a young family behind! It’s imperative that we reach out to anyone we know who might be depressed! Oh yes, connecting with people around us is sooooo important! Agree Shilpa. One needs to talk and have a strong base of support coz tomorrow may be a better day. A touching story. True, a strong support system is a must! I know what you mean and have experienced it too! In our society it is only the successful that are hailed, the others are pushed down further. Like they say, ugte suraj ko sab salaam karte hain,,,Doobte hue suraj ke saath koi nahi rehna chahata! The family that is left behind is never the same again. They keep wondering if they are to blame, could they have prevented it? Sad story, wish the ending could be different. Agree. 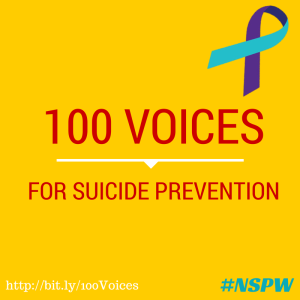 The loss of a loved one to a suicide would be so devastating for the family and friends. Thoughts that they could have prevented it, can be a living nightmare, a life ridden with guilt and fighting every day inner turmoil. That was an awful thing for a child to have to see. Thank you for posting to raise awareness of how we can all help. Simply terrible! 😐 Awareness is the key. Suicide by a family member can be the worst situation it can face.. This ,perhaps happens when when is in a state of utter desperation and the cause could be known only to the person. Failure in business and failure in love are the two main reasons for suicide…..Communicate with who? Communicate with anybody with whom you relate, who understands you, supports you, your family, friends, sometimes even talking to a stranger helps!! There are moments when suicide seems to be the only solution… and if we can connect and bring hope to them… we succeed. There is always, always… HOPE!! That was an inspiring read dear Shilpa… yet sad of course… but I also think- to stay connected -on many level can prevent a person to believing that suicide is the only way out.. Thanks for reading, Eli! True, connect is so important, even if the other person is not able to provide immediate solution to the problem, an empathetic ear, a touch, a smile, a kind word, an honest compliment, or the smallest act of caring, all have the potential to turn a life around. Oh Gosh! The memories that will leave behind for a child. I shiver to think. I have often noticed that those who are depressed clam up and reject all efforts to communicate. To help them gets even more difficult in such circumstances, unfortunately :(. True, it must be so devastating for the children and the family too. Agree, the suicidal person may be uncommunicative, but we as family and friends, must recognize the signs and symptoms and extend our help and support! Very thoughtful and striking post. Suicide is in fact a great misdeed against one’s loved ones and family. It is sad that people are driven to so much of hopelessness and despair that inflicting this torture on themselves and their family seems easier than living with them and fighting it out. Agree. Come to think of it, the person must be so sad and unhappy from life and its circumstances that ending his/her life is the only solution or escape in front of him/her. And that is soooo tragic and sad! I have read instances of teenagers committing suicide over silly things like teacher scolding them or getting low marks in a test . Some Movies somehow gives them the notion That taking ones life is a way out .